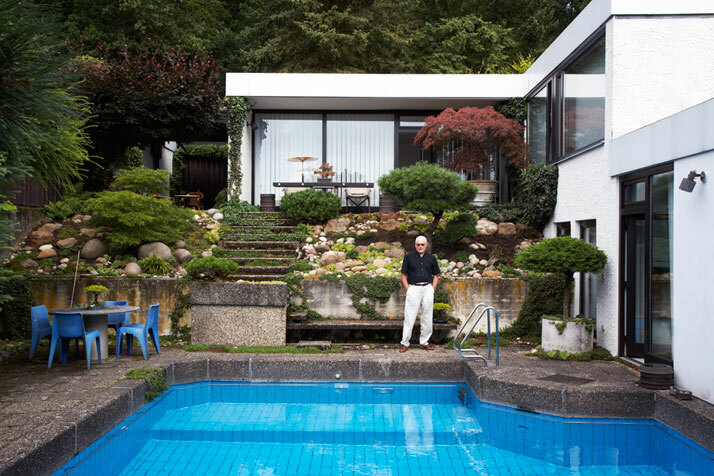 Imagining a world where Dieter Rams is a chef. The 10 Principles of Good Food is part of a post series that explores unique places, people and lifestyles related to food and sustainability. Why all this research? Find the answer in Drawing My Ideal Home. Previous essay: The Best Meal Ever? There’s one subject that’s always brought up during Christmas. Having lunch with the whole family, catching up with friends or meeting again with coworkers, we talk about one topic more than anything else: food, and the absurd amounts we consumed the past few days. In many countries, Christmas is the paradigm of food excess. Instead of following the Okinawan teaching hara hachi bu (eat until you are 80% full), we’re not only encouraged but expected to eat to an unhealthy extreme. To me, this is wasting a few meals that would be much more enjoyable with some moderation — or, as the Swedish would say more precisely, lagom. After all, the amount of meals one can enjoy in a lifetime is limited. We should at least try to make them as good as possible. But when you’re that full you can’t appreciate what you’re eating anymore. Talking about moderation, who is the master of simplicity and minimalism? Industrial Designer Dieter Rams. I believe that his commandments can be applied to way more than Product Design so I have adapted them to one of my main areas of interest . Ah, I love this one as innovation should be present in the whole process of producing, cooking and eating food. I am obsessed with the science behind what makes something taste good. If you are interested in ways to enhance your experience, some of the best sources to start are Dan Pashman’s podcast The Sporkful and book Eat More Better. Functionalist cooking can and should be delicious. Actually, it should focus on taste and nutritional value instead of sacrificing them for the wow factor. But just as good design creates ripples beyond the product, eating is more than feeding ourselves. Cuisine has a major role in our identity. It can help us travel to distant places or feel more connected to our roots even when we’re far away from home. Not only that, food has the ability to make us travel through time. It might remind us of a particular dish our grandma used to make or take us back to a defining conversation we had while eating a certain meal. Proust described it best and bakery empress Christina Tosi has made this remembrance her trademark. Aesthetic doesn’t mean ostentatious. We’ll go deeper into this in the last principle, but when an ingredient is good it needs almost no additions. It can shine on its own. Danish Chef Christian F. Puglisi takes this to the extreme. He only selects the best vegetables from his farm and serves them without a lot of manipulation — resulting in beautiful, simple dishes. I went to his restaurant Relæ with a friend that used to hate veggies and even she loved the meal and left with a renewed love for greens. You want to express yourself through your food? Fine. But please don’t sacrifice its main two functions: nutrition and pleasure. Don’t distract with fireworks. We’re here to eat. Give us great, soulful dishes and no perquisites will be necessary. I won’t get tired of saying it, great cooking doesn’t need to be complicated or pretentious. Mind tricks only work the first time and often not even then. If a meal requires a lengthy explanation or an instruction manual, it’s not my kind of food. Look, I get the effort of trying to make something different. According to the principles though, chefs that insist on creating trompe-l’oeil dishes are focusing their creativity in the wrong direction. Every year starts with several lists of the next food trends but good recipes have been here for hundreds, and even thousands, of years. Next time you want to make something new, try revising an old cookbook. You might be surprised. It is more than adding this spice or the other — it is holistic, conscious cooking. But what do I know? I’ll let the master speak. Speak of the devil. I can’t recommend The Third Plate enough, especially if you’re interested in food production and sustainability. Not convinced? Watch some of Dan Barber’s TED Talks and you’ll want to read his book right away. How I fell in love with sustainable food. Again, the Japanese have a lot to teach us. Their culinary philosophy is enhancing the ingredients instead of covering them up. In other words, Japanese food is more about subtraction than addition. Instead of emphasizing a flavor (like Western and other Asian cuisines), they find the freshest ingredient, remove the bad part and present it as it is. This last principle sums up the other nine so let’s finish with it — in the author’s own words.